It is unknown what exactly Collins is referring to, it might not mean anything at all, but given his abrupt departure from the New England Patriots he could be implying how happy he is in Cleveland despite the teams 0-12 start. Another puzzling aspect to the photograph, was Collins tagged teammate and former Patriot Anthony Johnson who also was just picked up by the Browns. In four games with Cleveland, Collins has 19 tackles, a sack, and a forced fumble but during Sunday’s loss to the New York Giants, Collins effort was questioned on multiple plays by observers. This entry was posted in Patriots Commentary and tagged Jamie Collins on November 29, 2016 by Robert Alvarez. In this episode, we looked back at the loss to the Seahawks for the Patriots, and later on previewed the upcoming game against the Niners. 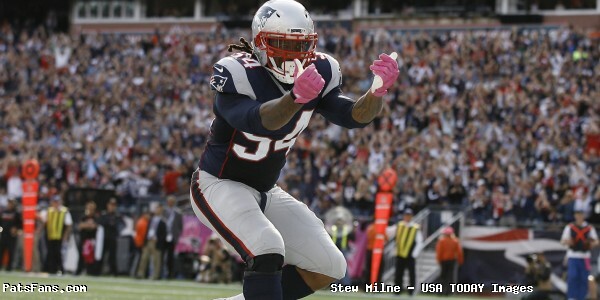 This entry was posted in Patriots Podcast and tagged 2016 Patriots Roster, 2016 Patriots season, Bill Belichick, Dont'a Hightower, Jabaal Sheard, Jamie Collins, Julian Edelman, LaGarrette Blount, Malcolm Butler, New England Patriots, NFL, Patriots edge rushers, Rob Gronkowski, Russell Wilson, San Francisco 49ers, Seattle Seahawks, Tom Brady on November 18, 2016 by Russ Goldman. 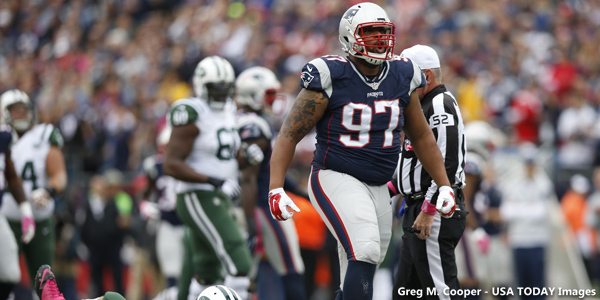 Podcast: Do The Patriots Have A Scheme Problem And Not a Talent Issue on Defense? In this episode we talked again to Lee Schecther who is a writer for PatsFans.com and Bleacher Report. Lee was on to discuss his very interesting article entitled “The Patriots Have a “Scheme” Problem, Not a Talent Issue on Defense.” Co-hosting this episode was Steve Balestrieri. During this episode, Lee and Steve shared their views on what went wrong on Sunday for the Patriots defense, which included a discussion on the defensive breakdowns and blown coverages during this game. 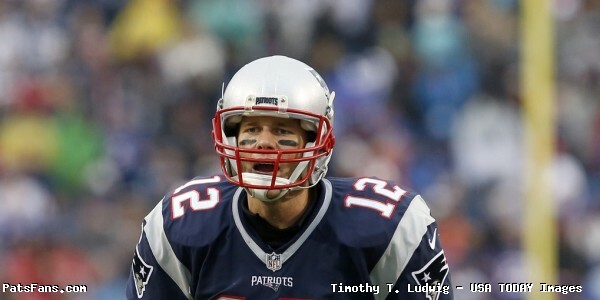 I invite you to listen to our view on what went wrong on Sunday defensively for the Pats. This entry was posted in Patriots Podcast, Uncategorized and tagged Bill Belichick, Chandler Jones, Chris Long, Dont'a Hightower, Jabaal Sheard, Jamie Collins, Malcolm Butler, Matt Patricia, New England Patriots, Patriots edge rushers, Pete Carroll, Russell Wilson, Seattle Seahawks, Trey Flowers on November 17, 2016 by Russ Goldman. Now that the election hysteria has subsided for the moment, it is time to get back to football. Just about a week ago, the Patriots traded linebacker Jamie Collins to the Cleveland Browns and now the unit will be forced to undergo some changes. But if you’re like many fans and expecting them to be more aggressive on defense, those changes aren’t coming, at least not this week. The most immediate focus on Bill Belichick and defensive coordinator Matt Patricia is how they play on replacing Collins in the defense and number two is, how to breathe some life in what has been a moribund pass rush. First, what’s the plan on replacing Collins? 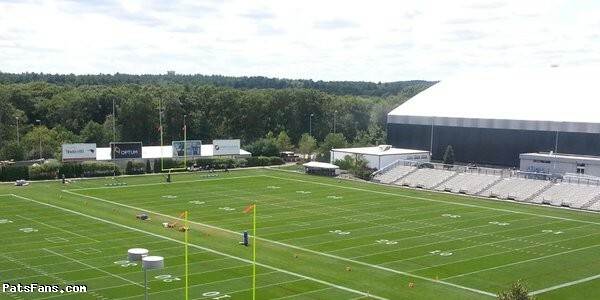 As we’ve now been already aware, the Patriots had planned on making Collins a part-time player and already against Buffalo, they replaced him on early downs by rookie linebacker Elandon Roberts. Roberts is a smaller player at 6’0, and 235 pounds but doesn’t play that way. He’s a downhill, physical player with a great burst. While he’s definitely a force against the run as his play against All-Pro tackle Joe Thomas in the Cleveland game will attest, he’s not as comfortable in his coverage role. The Patriots know that they’ll have to live with his learning that aspect of his craft on the job. But for third downs or obvious passing downs, there will be some tinkering to do. The obvious choice would be to use Barkevious Mingo, who, not possessing the strength or the size of Collins, is at least as close as one can get in the athletic department. Recent addition Kyle Van Noy and Shea McClellin, as well as Rob Ninkovich, may get some looks there. 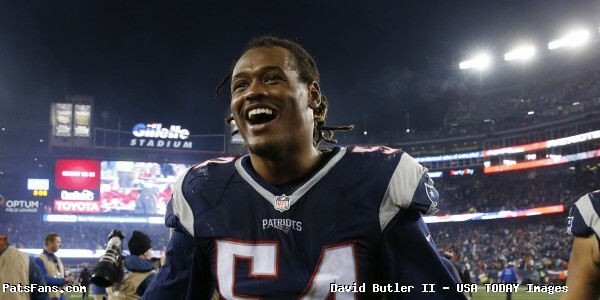 Hightower remains the key member of the unit, he can do it all. The Pats signal caller on defense is a big, physical run-stuffer inside and can bring great pressure on the A-gap blitzes up the middle. They can also shift him to the outside and force plays out on the edge where he had some experience as an outside edge rusher while at Alabama. Expect them to tinker with different combinations to find the right mix. Which brings us to the pass rush, if you are expecting them to get more aggressive this week, think again. Although Russell Wilson has been banged up and still doesn’t have the normal burst and quickness that we’ve seen out of him in the past, he’s quickly getting there. Watching the Buffalo game showed that he’s almost got his mobility back. And if there’s one thing that Bill Belichick will preach this week, it will be containment. This has been the Patriots M.O. when facing mobile quarterbacks, they’re willing to sacrifice pass rush pressure to keep the quarterback in the pocket. That is especially important to a team that likes to play man-to-man coverage like the Patriots do. With defensive backs trying to stay plastered to a wide receiver down the field, if a quarterback escapes the pocket and begins to run, their job then becomes much more difficult. Invariably once a QB breaks containment or a would-be sack, someone becomes wide open down the field. The problem becomes one of time. How long can you expect the secondary to hold their coverage before someone breaks open? And with a QB like Wilson, he’s much better suited for hitting plays from the pocket than a player like the Pats faced two weeks ago in Tyrod Taylor. With the Seattle running game mired in neutral this season and averaging just about 81 yards per game, those problems running center around the health of Wilson who has averaged much more yardage rushing in the past. The Patriots may opt to keep a spy on Wilson and get after him a bit more, but history has shown that they’ll try to contain him on the edge and slowly force the pocket closed. With Doug Baldwin, Jermaine Kearse and tight end Jimmy Graham, Wilson has plenty of options to stretch the field and if he begins to make plays with his feet, they can easily break off a big play down the field. He hit Baldwin on a 50-yarder on Monday night against the Bills. The Patriots don’t want to see that; their focus is on denying the big plays down the field and they have been very good at preventing those. They’ve only allowed one 40+ yard pass play this season. So on Sunday night, expect to see much of what we’ve seen before when facing QBs like Wilson. They’ll be in the containment mode and try to squeeze the pocket. If there is some pressure, look for it up the middle in trying to force Wilson into getting rid of the ball quickly. As always, that can be a dangerous proposition against the mobile Seattle QB. 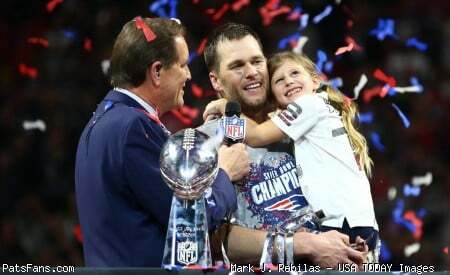 This entry was posted in Patriots Commentary, Patriots News and tagged 2016 NFL Season, 2016 Patriots season, Barkevious Mingo, Bill Belichick, Buffalo Bills, Dont'a Hightower, Doug Baldwin, Elandon Roberts, Jabaal Sheard, Jamie Collins, Jermaine Kearse, Jimmy Graham, Kyle Van Noy, Malcolm Butler, New England Patriots, NFL, Patriots, Patriots edge rushers, Rob Ninkovich, Russell Wilson, Seattle Seahawks, Shea McClellin, Trey Flowers on November 10, 2016 by Steve Balestrieri. The Patriots get their bye week at a perfect time, right smack dab in the middle of the season before they begin a very important stretch of games that will mark the outcome of the 2016 regular season. The Jamie Collins trade furor has subsided a little bit and again good timing by Bill Belichick. The players get over their shock, get a couple of practices in, get some time off to lay in the sun somewhere and come back refreshed, and hopefully focused. We’re breaking down our mid-term grade for the defense’s positions today after the offense’s yesterday. So… step back off the rail on the Tobin Bridge, buckle up and let’s look at the first half of an eventful and at times, tumultuous first half of the season. The Patriots went 7-1 much to the chagrin of the league and the rest of the teams as they are the top team in the AFC at the midway point. One thing to keep in mind about the Patriots defense, and something Bill Belichick preaches constantly. The most important stat per Belichick is points, specifically, points allowed by the defense. The Patriots are currently third in the NFL allowing only 16.5 points per game behind just Minnesota and Seattle. Denver whose defense is the one that Patriots fans always use for comparison is currently fifth, allowing 17 points a game. Does that mean the Pats defense is better than Denver’s? Not at all, but at the same time it shows that there is possibly a lot more that this unit can accomplish. The Patriots defensive line has done a pretty good job at defending the run this year…apart from the two games against Buffalo. They’re allowing 101.2 yards per game this season. Alan Branch, Malcom Brown, with Vincent Valentine and Woodrow Hamilton have been very good at clogging up the middle. Branch is playing some of his best football in his career with the Patriots and has been a very valuable piece inside. Even pushing the pocket a bit on passing downs. The edge players, Chris Long, Jabaal Sheard, Trey Flowers and Rob Ninkovich have likewise been outstanding in run support and set the edge very impressively. They stay at home, stretch the plays out and either make them on their own or allow the linebackers or secondary members to clean it up. Where they’ve lacked thus far this season is in the pass rush department. They just aren’t winning the one-on-one matchup battles nearly consistently enough. Part of the reason is by design. Both Bill Belichick and DL coach Brendan Daly have stated that the defense has sacrificed the pass rush to help defend certain backs and tight ends as well as keep scrambling QB’s in the pocket. Daly told NESN this week, “A lot of people want to judge it based on sack numbers, quarterback hit numbers. I think there’s a lot of other things that go into play there: keeping scrambling quarterbacks in the pocket, forcing quarterbacks that aren’t as mobile to move out of the pocket, the kind of marriage of coverage and rush. And certain times game plan-wise, we may sacrifice some pass rush to take away a back or a tight end. While they aren’t as terrible as they’ve been made out to be, can they improve? Absolutely. This one area I would expect them to be working on much harder next week. Jamie Collins wasn’t his dominant self the first half of the season. Other than the Houston game where he was all over the field, he played well but not well enough apparently and the coaches shipped him off to the equivalent of football Siberia…Cleveland. Now they’ll have to replace his three-down presence. Dont’a Hightower and Elandon Roberts are physical downhill, instinctive run-stuffers. Hightower will have much more on his plate now and the defensive captain will be looked to even more to provide the leadership on the defense as well as do some more blitzing in the A-gaps. Roberts is an undersized, rookie who plays much bigger than his size, see Joe Thomas in Cleveland. Shea McClellin was brought here in free agency but hasn’t played a ton. He also missed a few weeks with a concussion. Ninkovich can also drop back and play some linebacker as he’s done in the past. 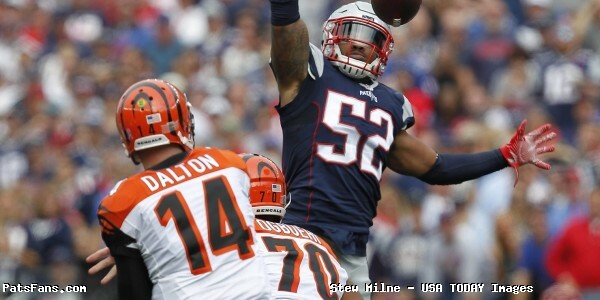 Which brings us to our final two linebackers and now with the trade of Collins the most intriguing, Barkevious Mingo and Kyle Van Noy. Both at this stage are complete unknowns. Mingo came over at the end of preseason and has the freakish athleticism of Collins, but lacks his size and strength. Could he become the third down ‘backer that can rush the passer? Possibly. Although he’s been playing a lot of special teams, he’s played very little on defense, a total of 27 snaps, including 10 against the Bills, his most. Van Noy came out of the draft as a guy that could do a little bit of getting after the passer and coverage of tight ends and backs. He too will probably get some snaps to see what he can do. Can the Patriots bring out what the Lions and Browns couldn’t with these two? We’ll soon find out. The secondary has had a decent start to the season. Malcolm Butler was hobbled by a bum ankle but has been playing better than his 2015 season and has shown he deserves a very healthy pay raise next year. Logan Ryan has played okay, and usually gets matched up with the opponent’s speediest receiver with some safety help. But his play has been a bit inconsistent of late and facing teams with some bigger receivers, the Pats gave Eric Rowe the start the past two weeks. Rowe is the biggest of the Pats corners but struggled in Buffalo, drawing some PI flags…one in particular, was not earned. Justin Coleman and Cyrus Jones, the Pats top draft pick, have not been good as the slot or nickel corner. Both have struggled and Jones has been a healthy scratch for the past three weeks. Devin McCourty and Pat Chung lead a safety group that is very solid. McCourty is the QB of the secondary and has had an outstanding season. Chung has gotten some flak, undeserved in my opinion as he’s been a major plus in his second go-around with the team. Duron Harmon is an under the radar third safety. Jordan Richards and Nate Ebner haven’t gotten a ton of snaps. After struggling to start the season, Stephen Gostkowski looked more like the guy we’ve seen for the past 10 seasons, last week in Buffalo. He was 5 for 5 on extra points and made both field goal attempts, including a 51-yarder at the end of the half. His short kickoffs have been outstanding all season. Ryan Allen has had some ups and downs but he’s been very solid for the most part in 2016. He’s been very good at angling his punts inside the 20 to limit the returns. The Patriots coverage units have been terrific so far and the return game got a boost from Danny Amendola returning the second half kickoff last week 73 yards. 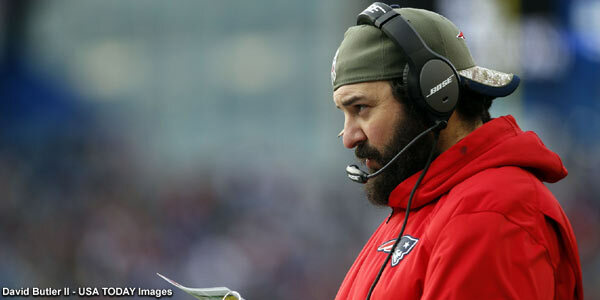 Matt Patricia hasn’t had a great season thus far. The defense is not playing as well as they were envisioned at the beginning of the year. The talk was that this was going to be a Top 10 or even a Top 5 defense. While they are third in points allowed, their overall play has only been so-so. And until recently their play in the red zone and on third down has been spotty. Patricia has his work cut out for him in the second half as the defense will be going thru some changes. Bill Belichick did a masterful job of not only preparing the team but its two young QBs to carry on for Tom Brady in the first quarter of the season. Now he faces another difficult challenge. By trading one of the top players on the team and easily the most athletic, he’s pushed all of his chips into the middle of the table betting that he can get the best out his remaining players on defense. And of course, lead them to another Super Bowl berth. Now we’ll all watch to see how the players will react. There are examples of them reacting well, (2003), and poorly, (2009). One thing it won’t be is boring. This entry was posted in Patriots Commentary, Patriots News and tagged 2016 NFL Season, 2016 Patriots Roster, 2016 Patriots season, Barkevious Mingo, Bill Belichick, Chris Long, Cyrus Jones, Devin McCourty, Dont'a Hightower, Elandon Roberts, Eric Rowe, Jabaal Sheard, Jamie Collins, Justin Coleman, Kyle Van Noy, Logan Ryan, Malcolm Butler, New England Patriots, NFL, Pat Chung, Patriots, Patriots edge rushers, Rob Ninkovich, Trey Flowers on November 4, 2016 by Steve Balestrieri. 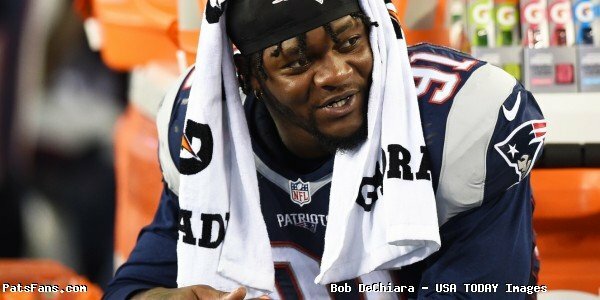 Podcast: Can We Make A Case For Trading Jamie Collins? 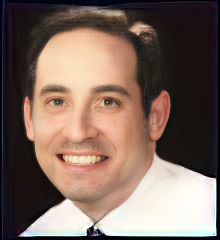 This is another episode with PatsFans.com and Bleacher Report writer Lee Schechter. 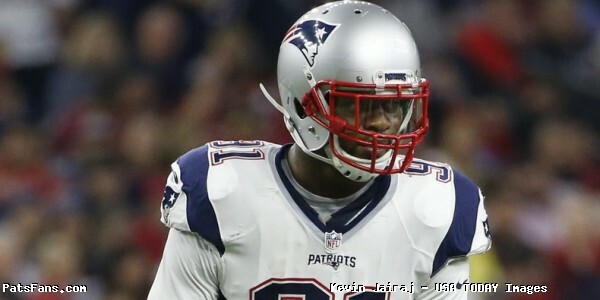 During the show we discussed Lee’s article entitled ” The Jamie Collins Trade Was Shocking, but Let’s Make the Case for It”. Lee shared his thoughts on the Jamie Collins trade. This entry was posted in Patriots News, Patriots Podcast and tagged 2016 Patriots Roster, Bill Belichick, Cleveland Browns, Dont'a Hightower, Jabaal Sheard, Jamie Collins, Malcolm Butler, New England Patriots, Patriots edge rushers, Rob Ninkovich on November 3, 2016 by Russ Goldman. In this episode, we discussed the Jamie Collins trade along with a look back at the Patriots victory against the Bills. This entry was posted in Patriots News, Patriots Podcast and tagged 2016 Patriots season, Bill Belichick, Buffalo Bills, Chris Hogan, Danny Amendola, Dont'a Hightower, Jamie Collins, New England Patriots, Patriots edge rushers, Rob Gronkowski, Rob Ninkovich, Tom Brady, Trey Flowers on November 2, 2016 by Russ Goldman.